Yesterday, the Office of Special Counsel answered a judge’s question about the extent of Paul Manafort’s dishonesty this way. Yes, we’d say 406 exhibits just might indicate a pattern of dishonesty on Manafort’s part. 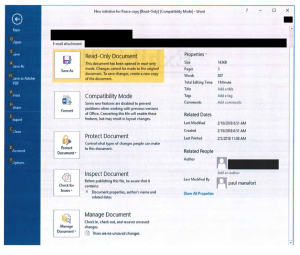 You can see the highly redacted document here.And the redactions indicate there is an ongoing criminal investigation that is far from wrapped up. 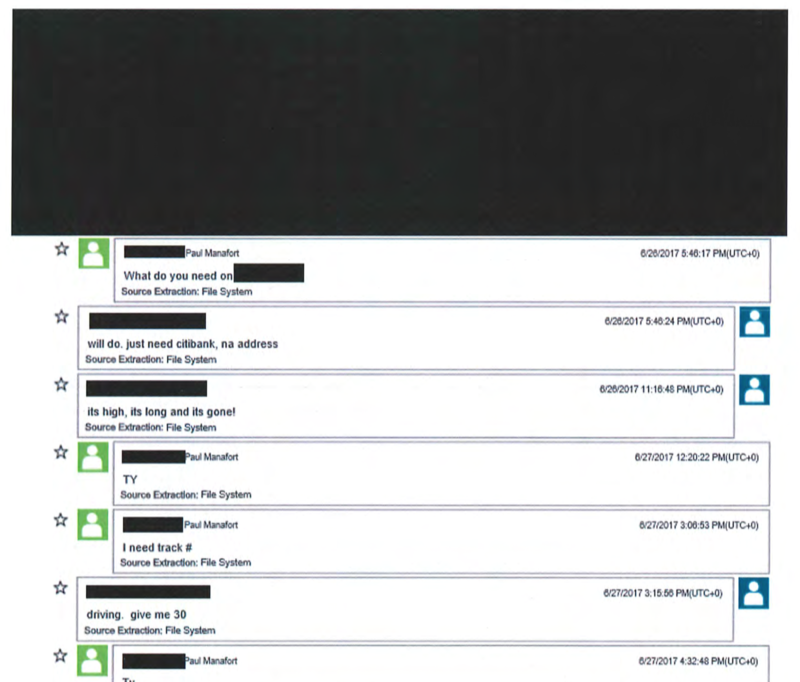 and a text message indicating that an associate of Manafort was talking to the White House in August 2018. 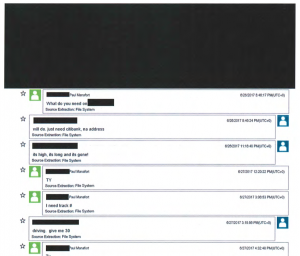 The handful of unredacted exhibits suggest the contents are, as one would expect, chronologically sequenced. One of the biggest takeaways revealed by the filing is that Manafort was in communication with Russian agent Konstantin Kilimnik in August 2016 — mere weeks before he resigned as manager of celebrity real estate hustler Donald J. Trump’s presidential campaign. The other is that despite the redaction of the vast majority of exhibits, some 500 pages of filing might just lead one to conclude that Manafort is a seriously committed criminal.